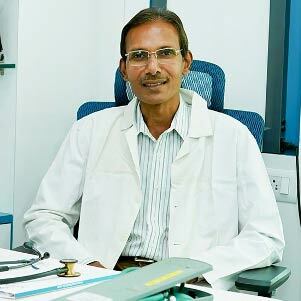 Dr. Venkata Rao Yalamanchi, is a qualified & certified plastic & cosmetic surgeons in Hyderabad. After his degree in plastic & cosmetics surgery he got trained, extensively in reconstructive, microsurgery & cosmetic surgery at reputed center both in India & abroad. He has eighteen years of experiences as plastic & cosmetic surgeon in Hyderabad. His special interests is in Hair transplantation & Cosmetic surgery and has been pursuing these with more dedication. Obtained Medicines Degree from Rangaraya Medical College, Kakinada in 1986.Completed M.S in gen.surgery in 1990 from Manipal. Obtained M.Ch in plastic & cosmetics surgery degree in 1996 from Madras Medical College, Chennai. Afterwards works in NIMS (Nizamm's Institute Of Medical Sciences) as Assistant prof. & I/C Head of the department of Plastics surgery till 2002. Obtained Visitings Fellowship from Chang Gung Hospital, TAIWAN in the year 2000. Later he worked in Care Hospital till 2002 to 2008, after that he started his own cosmetics plastic surgery Center in Hyderabad. Dr Y V Rao Clinics operate in Hyderabad and Vishakhapatnam. The cosmetic surgery centers boast the latest surgical equipment and sophisticated operation facilities. In fact, Hyderabad is a city where health infrastructure is among the best in the country and even the world. Our clinics stand out as second to none in the highly competitive health industry in the city. We serve our customers with the best of equipment and the best of experts in the cosmetic surgery field. Our cosmetic surgery team's leader is Dr. Venkata Rao Yalamanchi, Plastic, Aesthetic and Hair Transplantation Surgeon. Dr Rao is a certified plastic & cosmetic surgeon with a degree in plastic & cosmetic surgery. His extensive training is in reconstructive, microsurgery and cosmetic surgery from renowned universities in Kakinada, Manipal, Chennai and Taiwan. He is an expert in hair transplantation and hair restoration procedures through which people can reinstate their hair or grow their hair permanently. Our credo is to apprise patients about the various surgeries possible in our clinics. At the outset, we advise patients to make them aware that cosmetic surgery cannot improve medical condition whereas it can only enhance aesthetic appeal. Therefore, patients must convince themselves that they want to undergo cosmetic surgery to correct some defect or deformity. We make sure that we provide the best facilities and the most experienced cosmetic surgeons at the most affordable cost. We guarantee the best service and the quickest recovery to enhance your looks and build back your self-confidence and self esteem. 1994 - 1996 - M.Ch. (PLASTIC SURGERY)- Two years full-time resident training at Madras Medical College, Chennai, Under Dr.M.G.R Medical University, Chennai, India. 1987 - 1990 - M.S. (GENERAL SURGERY) - Three years full time resident training at Kasturba Medical College, Under Mangalore University, Karnataka, India. 2010 - Till now	Working as chief Consultant Plastic & Cosmetic Surgeon at Dr.YVRao's Clinics, located at Banjara hills, Hyderabad. It is a Day-Care Hair Transplant & Plastic & Cosmetic Surgery Centre. 2009 - 2010 (Mar - Nov) Worked as chief consultant Plastic & Cosmetic Surgeon at SUN SHINE Hospitals, Located beside Paradise hotel Secunderabad. It is a 250 bedded tertiary care Multi specality Corporate hospital. 2002 - 2008 (May - Dec) Worked as Consultant Plastic & Cosmetic Surgeon at CARE	Hospital, Road No-1, Banjara Hills, Hyderabad. It is a Multi Speciality Corporate Hospital with combined bed strength of nearly 600. 1998 - 2002 (Jun - Feb) Worked as Assistant Professor & I/C Head, Department of Plastic Surgery at Nizam's Institute of Science (NIMS), Hyderabad, India under Prof. D.Mukunda Reddy, turnover of Plastic Surgery Outpatient of 2000 and Operations of 1700. 1994 - 1996 (Oct - Jun) Worked as Senior Resident in Plastic Surgery Department at Nizam's Institute of Medical Science, Hyderabad, India. 1993 - 1994 Worked as Senior Resident in General Surgery department in Emergency Medicine Deparment, NIMS, Hyderabad. 1992 - 1993	Worked as Senior Resident in Plastic Surgery Department, NIMS, Hyderabad. Performed open reductions and fixations for Fractures of facial bones including Leforte fractures, Cranioplasty, Surgery for cleft lip and Palate, various types of Flaps on Had & Neck for Oral Malignancies & Tumours. Also performed rare Cranio-Facial deformities. Managed all types of Crush injury hand from finger tip to Multilating injuries. Perfomed several Replantations at various levels. Performed flaps for defects over various sites of the body including Burns treatment. Performed several Face lifts, Rhinoplasties, Abdominoplasties, Liposuctions, Mammoplasties, Dermabrasions, Scar revisions, etc. Is Scraping of Granulating wound - A worthwhile procedure? Published in clinical Procedings of NIMS April 2000.